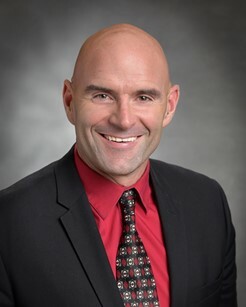 As Assistant Superintendent of Schools, Dr. Christopher Shattuck was named to this position in January of 2016 after serving as the Principal of Wilson Elementary School. Dr. Shattuck served on the Technology, School Safety and Health and Wellness Committees, while overseeing the major renovation project at Wilson Elementary. Prior to serving as Wilson principal, he held the position of Assistant Principal/Dean of Students at West Allegheny High School for seven years and teacher at Wilson Elementary for eight years. Dr. Shattuck is a 1993 West Allegheny alumnus. Dr. Shattuck received his doctorate degree from the University of Pittsburgh, where he also received his master’s degree. He received his bachelor’s degree from Grove City College. He is married, has three children and resides in McDonald. Previously serving as superintendent of a neighboring school district, Mrs. Tammy Adams brings over 25 years of exemplary experience in education to her position at West Allegheny. Her extensive and expert knowledge in gifted and special education reflects her passion for student advocacy and has garnered Mrs. Adams distinction at the state level. Her experience in all aspects of student services including interagency partnerships, counseling services, nursing services, and mandates are of tremendous benefit to the students and staff of West Allegheny. Dr. Shana Nelson joined West Allegheny in 2018 and brings over 14 years of experience in education to her role. Dr. Nelson's robust and deep knowledge of research-based best educational practices in professional learning, curriculum and instruction, strategic systems thinking and data analysis help advance the District. Dr. Nelson is recognized as a Distinguished Graduate Alumni Fellow at Duquesne University where she completed her Doctorate and Superintendent Letter of Eligibility.